Flou7ish Room 7 2016: Hannah and Issraa are our best runners. 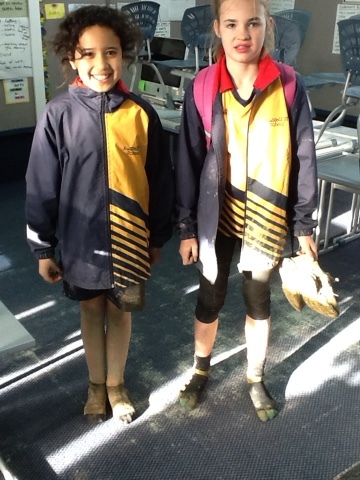 Issraa and Hannah went to the interschool cross country today. It was really muddy!!!!! Check out the state of their shoes! !